"My experience with any.do has been great"
"Organize and list your activities with Any.do." The modality of creation of activities and of enlisting each task is surprising, being able to add to a specific location in the calendar allows to schedule and to follow up the fulfillment of each established process to achieve good results. Its interface is very dynamic and the possibility of registering labels to find the activities with the highest incidence gives a special and favorable touch to this tool. Any.do is a good tool to carry out project management but these are usually housed in a place that lacks an application with few integrations to enhance its use and there is not even a desktop version that would be facilitating the work and the deployment of each activity that you want to integrate into your projects. The application requires that future updates integrate some functions that would give it a modern touch and improve the capture of users. This application is ideal for any work team that has a path to increase the productivity of its workers, because when integrating Any.do to your operations you will notice that communication is strengthened by sharing notes, tasks, reports and projects. During the test of Any.Do in our departments have made many positive and beneficial advances, as our processes flow with your notification system keeping our team informed of each progress or update made in the activities, scheduled every meeting or collaboration with other sites and this allows them to have detailed reports that we upload to Any.do for later review, this can be viewed from your mobile device since it will be available at all times on the web. The creation of tasks has allowed our users to focus on demonstrating their performance and collaboration to achieve the goals we set ourselves in each work cycle. "One of my favorate app for keeping all my day to ay task list"
The best thing about Any.do is that it is the best to do app I have ever used in my day to day life, it has all the needed features like adding a task and making it more priority, as I am a premium member I am having all the access to cool features like coloring the tasks, sharing them etc. Any.do helps me a lot in getting my things done in time without any delay ! The only issue is that the iOS app is a bit slow and needs to have an urgent attention. The app crashes at some point. Please take this issue seriously. Please fix the issues with the iOS app asap. We are encouraging all our employees to install Any.do and add their daily tasks there, so that we can prioritize them and make their day much more efficient. Also our main duties are listed on it and them we try to follow them. "To-do list in your calendar - everything in the same place!" For years I struggled with to do list apps and software because I wasn't able to view my to-do list with my calendar. And I struggled with calendars because I couldn't view my to-do list without making them actual events or appointments in my calendar. Any.do combines both features to make it easier to organize your day. Unfortunately, some of the best features, such as complicated recurring reminders, are only available with a premium subscription, which can be a burden if you're a small-time entrepreneur. Be sure to check out the integrated features with voice assistants such as Alexa. I love being able to verbally tell Alexa to add something to my to-do list, rather than having to open Any.do and tap the task out on the screen. Saves lots of time and allows me to add tasks while I'm thinking of them! Any.do allows me to schedule tasks in between my appointments for the day and shows them in the calendar view, which is perfect for helping me visualize how I want my day to go. It also integrates with Alexa, which allows me to verbally add tasks to my to-do list without having to open the app and type the task. "Avoid! They lost my data!" Any.do helped keep me organized, until they lost my data. Overnight, all of the subtasks on most of my tasks just completely disappeared. These subtasks consisted of notes, URLs, and crucial details, many accumulated over time and impossible to replace. After a week or following up with support, I finally recovered 43 subtasks. And if you want to backup your data, there's no an export function. It's 2019, ever heard of JSON or CSV? And the "priority support" feature for Premium members is a complete farce. They don't even tell you HOW to contact support - it took me 20 minutes just to find an email address, and that's only because I contacted them on Facebook Messenger first out of sheer desperation. Also, the UX of their Android and Chrome apps has been consistently frustrating. My settings were constantly being "forgotten" by the app. Constant sync and login issues. Occasional outages. Incredibly slow to implement even basic improvements (such as the ability to order subtasks). And the newest layout makes it even less intuitive in my opinion. I switched to a task manager with automatic daily backups and the ability to download CSVs of my data, among a host of other features I didn't realize I was missing in Any.do. While I did use any.do for 2+ years, and have recommended it to others, I am glad to have found a far more robust alternative. Avoid at all costs, if any of your data is in the least bit valuable to you. I'm not solving any problems, since my data disappeared. "Great tool to keep track of our daily task lists"
It is a well recommended platform for all types of people. The only issue I faced is the lack of support, I had issues on upgrading to premium. My credit card payment got blocked in the middle and the level of support I got is not satisfactory. I would really suggest Any.do support team to handle this carefully. Any.do is a great tool to manage all your time more effectively and wisely. I really recommend it to anyone who really wished to order his/her daily schedule. I am an employee and I feel difficult to manage my personal and office timings, with the use of Any.do I can now manage both of them more effectively. "BEST Reminder and Task Manager software out there! " It has the ability to do projects or simple tasks with reminders for each. It has call follow-ups and Meeting follow-ups, a smart grocery list. It allows you to include or exclude the "completed" tasks. It syncs with Amazon Alexa. The premium version gives you the ability to create colored tags, specific to "you". I spent many hours and days testing and reviewing "todo" apps and I finally prayed and God chose this one and I agree, for me, it is the best app out there. The widget does not allow us to choose a TAG instead of "today" I wear many hats. Hypothetically, I would love to be able to change the "hat" (tag) of the widget at will. Default to "today" is great, but some days I need to work on other things, and I have to go to the full app, not just the widget. It is the BEST app out there for those who need to change "hats". Reminding me of things I need to do "now". Keeping me from being overwhelmed by the things I can not do today. Helping me change hats when I need to. "I feel more organized since I use Any.do"
Any.do has become my ally. I have it downloaded on my pc and on my cell phone. I am a very busy seller and I keep a list of all the things I must do in the day. Every day I like this application more. Apart from some applications that may be key for sellers and we could consider as basic as is the case of major social networks (Twitter, Facebook, Instagram and mainly LinkedIn), there are others that can be of great help to sales professionals helping them to make a more efficient management at commercial level, but also to be much more effective in their prospection and sales processes. Any.do is one of those applications. Any.do has useful options such as voice transcription, which is very useful for me because normally the vendors are on the street or in places where it can be difficult to take notes. I can sync with a Chrome extension so that all items on my to-do list can be transferred to my Gmail account. Through this application I can know exactly the tasks that I must perform in my day to day. "Excellent free application calendar type. Very complete." It is a calendar application with a clean interface, easy to use, it helps you keep your tasks up to date. Very good, both for the business and for the staff. It is multiplatform, allowing you to review your tasks from a web interface and update them from your mobile or vice versa. For what I use this application, I have few disadvantages, it is just that, an organizer of simple tasks for my work and especially in daily life. For something more productive like projects I use Asana or Trello. I can not give you another recommendation other than to try it, it will make it easy to organize those small daily tasks. I have organized many daily tasks both in my home and office, and so clear my mind and time in other activities. A great help for those simple but necessary tasks. "The best tool to organize your daily tasks"
It was possible to organize daily tasks in a detailed and orderly manner, and thus meet the completion times of each project. The entire team uses it and has integrated the work in an extraordinary way that allows us to save money and time, in addition to increasing efficiency in each one and the level of competitiveness that does not allow anyone to be left behind. "Very useful app that I totally suggest to use even for personal reasons." I like that is a very easy tool to use, organise in folders the tasks and even use colors to distinguish the projects. I use it for both personal and work projects, that have to remember a number of different tasks and when to be completed. It also has an automation, where frequently you can check the tasks and see if they are completed, change deadlines and other information to be accurate for the user and the administrator. It also can be used in free edition and is fully usable, although the premium has a number of other tools. I like it more as a mobile app and less as a web app. I think the interface is more useful for mobiles. Any.do is a very useful app that can easily organise group of tasks and add deadlines. We now use the free edition but we are planning to get the premium one, so everyone can have it in their mobile and will be fully responsible and aware for the tasks that is responsible, when has to submit and complete them, which is the team etc. I believe that in companies like us that choose agile tools, but also remote teams can be a very useful tool. Small project management, sprints, agile project management, internal tasks with group of people in customer service and development and also for personal projects like my son's baptism or organising events. "Wanna stay on track, daily? " The daily reminders and ability to set them up to remind me daily until I complete the task. Also, the team share and calendar integration. It makes my life insanely easier to keep on track. I had to stop and really think of what I do not like. I would love to have any app work more with Google Hangouts chat. Our team uses this feature and it would be a great integration. If you need a user friendly, task master that does it all. Look no further. Keeping ideas and tasks moving. They do not get lost and since they can be escalated with priority, it makes it much easier to not lose sight of items when new work comes in. Keeping the team and myself accountable is a huge benefit. "If you want more productivity organize your tasks with this fantastic manager"
It is multiplatform, you can manage your tasks from the PC or from any mobile device, has a simple interface and easy to use that allows you to create and execute the working methodology that will allow you to fulfill your daily tasks, the cloud service is excellent because it allows you to store important information, create your trays to catalog the tasks of today, tomorrow, and the week. I managed to organize all my daily tasks in the week and thus make the planning of projects to be executed, also thanks to the cloud service I can have the information available at any time. "Any.do - more than an organizer"
This application allows me to be more concentrated. Thanks to any.do I can correctly dispose of my time both at home and at work. Also, the application allows you to create a shopping list, which is also useful. For example, my wife and I made a list of things on the computer, and then I already have it on my phone. The presence of a mobile version makes this product competitive in the market for such applications. In the application, I found no global shortcomings. Perhaps you need to add colorfulness? I would recommend this application to everyone who solves about ten tasks during the day. By constructing the correct list of tasks we save time and effort to solve them. After all, no one needs fuss. All the tasks on your phone. With the help of the application, we save a lot of time and used it to spend with the family. Thanks to the Any.do I was able to do much more work during the day than usual. "May your working task is done fast." I really Like to make my tasks with help from Any.do. I'm glad that I have a chance to keep my reminders and lists in one place. Great that I can use in-sync for all my electronic devices. Wonderful control system around my working routine. I always can coordinate one meeting with others. I like to work fast and easy. As for me, I don't have so big issue to work with this program. Actually, the interface can be much colorful. But all functions are working well and right for me. Nothing bad, really. I like work of this software. I would like to recommend it to you. It is the best organization key to your working tasks. Also, it is very easy to understand and use. We like to start our day with this big helper. The platform can assist you in any subject which you will need. We are always with Any.do. It is our manager at our work. The really great software helps us to adapts to all our needs. We can control working process and customize our theme on our own. We like that platform works seamlessly with Google Calendar, iCloud, Exchange, and much more. It really helps us a lot. With this app, I can properly manage my time and tasks ( home and job). The mobile version makes this app very competitive on the very overcrowded market of the productivty and todo apps. I can coordinate one meeting with others and do the important tasks as easily as possible. The servcie allows me to write task lists in sorted folders, which helps with managing multiple projects. This great app helps us adapt to all our needs and tasks. We can control the workflow and adjust tasks to the circumstance as they chnage. Poor calendar integration. Wishe it played nicer with at least Google Calendar. Give some time to planning your tasks ad projects an Any.do wll serve you great as a collaboration hub. Organizing my personal and team tasks on job in a comprehensive and collaborative matter. "Platform for every single day." The best way it is the elementary design. Also, I like the nice thing about time and location-based reminders. And I'm glad that this platform can take care of tasks for all of us it’s that simple. The fast solution with a good assistant. I don't have any bad point about that software. Also, I don't have any doubts to use it I like it and I will continue to use it. The service works fast and very clear. You can work with more easy way. Don't worry about your task as that platform will always take care of it. I recommend it to you to use it. Much better way to control all our customers. The simple way of customizing our theme and create it in an individual way. We can always be ready to take our attention or remind us what we need to be doing. "Solid task management; works well across platforms"
I like that any.do has a pretty seamless interface across platforms--I use it on both desktop and iPhone and things seem to flow well between the two and not get lost. The interface is similarly easy in both places, too. I also like the automatic addition of my Apple Reminders as their own task list. any.do doesn't integrate with my calendars, either Outlook or Apple, so it doesn't do everything I need in terms of date-sensitive planning. It also doesn't function for cross-team work planning, as it's a single user interface. If you are looking for a basic, easy-to-use, easy-to-sync task list application, I have tried a large number of them, both free and paid, and any.do is just about as good as it gets. If you need something more robust, with calendaring and/or sharing functions, you should look elsewhere. The problem I am solving, both personally and professionally, is simply keeping track of tasks and sorting them into lists. And for that simple need, with a clean, easy-to-sync interface, any.do is about as good as it gets. It's more complicated functionality that requires me to use other tools. I like the ability to track the things I need to do by day. I have organize what needs to be done today, tomorrow, and in the future. It also has the capability to sync with my calendar. Lastly, it allows me to separate my personal plans and obligations from my work obligations. The only downside is that you do have to pay for an upgrade to share you're lists - grocery lists, work team assignments, etc. Keep the layout simple and appealing to the eye. It has a clean interface and is user friendly. It does exactly what it is intended to do and does make things too complicated. I would not try to add any additional features. Keep perfecting what it is already doing well. I have multiple team members and we work on group projects often. It is nice to see when each task is completed and removed from the list. That way, we can see our progress. ""I feel progressively sorted out since I use Any.do""
With Any.do I am forward-thinking on every one of my exercises and keep my rundown of pending. I can make diverse envelopes for errands or for things I need to recollect, and even team up with different clients sharing organizers through the application. When I complete a venture I can change my status or simply erase it.It is a timetable application with a spotless interface, simple to utilize, it causes you stay up with the latest. Good, both for the business and for the staff. It is multiplatform, enabling you to audit your assignments from a web interface and refresh them from your portable or the other way around. Truly, there are without a doubt other assignment the board programming devices out there that can most likely do pretty much everything Any.do can do in addition to have more highlights and better coordination. Yet, in case you're simply searching for a straightforward apparatus with an incredible and simple coordinated effort segment, give it a try.Don't endeavor to utilize it ask an undertaking assignment director or copy your venture the executives errands. You could do well by utilizing the sub-list, notes, joins, connections include for posting things like monitoring things that you requirement for planning to record a multi-archive application. I figured out how to sort out the entirety of my day by day undertakings in the week and in this way influence the arranging of ventures to be executed, additionally on account of the cloud administration I can have the data accessible at any time.Any.do is astounding for teaming up only not on errands inside a venture, however maybe significantly more so on standard, run of the mill, repeating assignments which can frequently be finished nearly through repetition, yet which can likewise now and again slip and be overlooked amid occupied time to take care of business or flame drills. Any.do is great at those delicate updates that keep you on track. "Excellent virtual agenda, which allows me to be up to date. " I like its ease of use and that I can use it both for my work, and for my home, to help me remember everything on time and have integrated voice transcription. There is nothing negative to say, Any.do has always worked perfectly. I recommend the use of ANY.DO for the creation of different folders for tasks or for things you want to remember, because this function is really excellent. Since I use this application my life was organized, therefore Any.do has benefited me a lot by helping me to be up to date in each of the activities that have scheduled and keeping my list of pending. 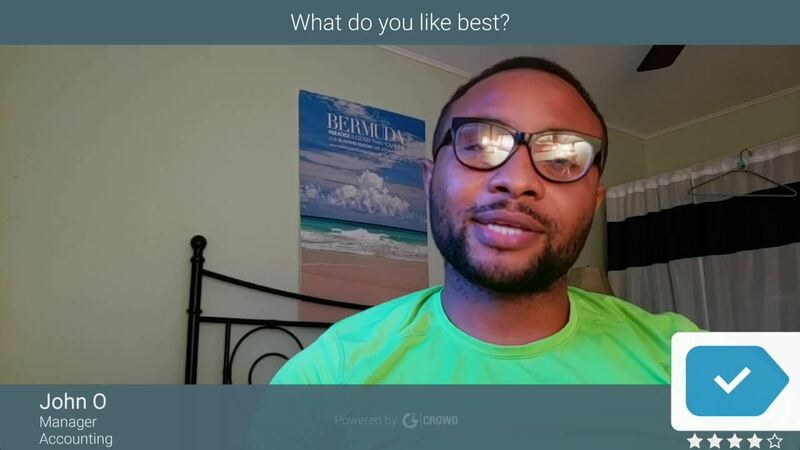 "The best option for your task management"
It is a simple but very effective task manager, list your tasks prioritizing the most important and you will be up to date with everything you have to do during the week. Easy to use interface, multiplatform and minimalist, you can alert with notifications about what you have pending to do. With this application you have the possibility to organize yourself and not only that, it also creates in you a sense of responsibility that becomes habitual, it helps you to plan, to use the time better and to fulfill your objectives. Planning is essential for good professional performance. "Great for organization of responsibilities, small minus on interactivity"
Being able to type and organize my to-do items at work is very helpful. The more projects that get added, the more of a relief it is to have something to back me up. There isn't really a built-in way to determine exactly how you can communicate with Any.do. Websites exist, of course, so the information is available, but in the moment, I often just want a bot to respond to me in the way I'm expecting it to. Trying to reconfigure a reminder, for example, is more difficult than I would have hoped. Keep a list of how to communicate with Any.do handy. You'll learn it eventually, but in the beginning, you won't want to be stymied by not being sure how to phrase a request. Keeping all of our ongoing projects documented, as well as creating reminders for important tasks that need to be done, both one-offs and recurring. "Perfect for every working day." It is better to have all events, tasks, and reminders in one space. I can share lists and appoint tasks to get more done, quicker. Also, I have the ability to use clever widgets which keep it all at my fingertips. I don't have any bad comments about this software. As for me, I see this product very useful and effective and understandable for all working team. With this platform, you will have an assistant which will always care about your tasks for all your working group. You will really have more time to concentrate on the things that matter to your company. The software is the simplest life manager, which means that customers likes to use it much better than other apps. Better and simple step of customizing our theme and create it our individual. "With you so helpful tools"
Tha Good program for people who don't require the extra calls & stressful noises from their assignment management method. Definitely I like that. Its really help me to be calm and work with enjoy. Of course I will tell about it. when I was using phone device its can be slow.. but do not skip of it it's will not stay forever. General i don't meet with strong problem of understanding. Yes. I will recommend maybe you will not like or you will find it so complicated for yourself. But i guess you can try to use it. Who knows maybe its become more important stem in your business. As for me, It's allows to write out my task lists in picked out document which is useful for leading plural projects that each have , whether they're one-time tasks or current.
" A wonderful task organizer"
"Once Great App Failed to Grow"
I have been using Any.do for several years now, and what drew me to it in the first place is the reason that I still use it despite it's flaws - it is a wonderfully simple and clean looking to-do app that allows for easy easy sharing and collaboration within your team. My biggest complaint with Any.do is that there seemingly has been little to no updates or improvements to it over the years. Yes, I know that if it's not broke don't fix it, but there is a difference between fixes and enhancements, and it is possible to enhance something without complicating it. And while calendar integration is one of the few things that have improved over the years, email integration hasn't. Honestly, there are undoubtedly other task management software tools out there that can probably do just about everything Any.do can do plus have more features and better integration. But if you're just looking for a simple tool with a great and easy collaboration component, give it a try. Any.do is excellent for collaborating just not on tasks within a project, but perhaps even more so on routine, typical, recurring tasks which can often be completed almost by rote, but which can also at times slip and be forgotten during busy crunch time or fire drills. Any.do is good at those gentle reminders that keep you on track. "Intuitive and keeps getting better"
If I had written this a couple of years ago I would have said I love that you can share individual tasks and entire categories of tasks with others. With the more recent updates, color-coded categories is helpful: since I wear multiple hats as a business owner: I can put on my finance/accounting hat and see that once I'm finished with a time-sensitive issue, there are other items I can knock out while in that state of mind. I also love the reminders about calls coming in that I've rejected. I've never liked the "Moments" feature, which is a daily view of what you need to do based on the reminder/deadline date that you set per item, but I can see how it can work for others. My work-around is to create random dates in the future as deadlines/reminders for administrative items or put them in the "Someday" list. Don't try to use it ask a project task manager or duplicate your project management tasks. You could do well by using the sub-list, notes, links, attachments feature for listing things like keeping track of items that you need for preparing to file a multi-document application. I need one place that is my end-all, be-all ongoing list. I like to write things down but I don't always have my agenda book - and it can fill up too quickly with ink. I can tag an email as an Any.do item and adjudicate it later without being so worried about email organization. I can rely on Any.do and not my memory. I can rely on Any.do and not my consistency with an organizational system like Getting Things Done when major distractions hit and take time to recover from. "Good solution and helpful tools." I like that software. Now I can be calmer and concentrate on what I'm doing or should do. Everything is organized and. No more time to worry about. I like to work with this solution. I guess its good solution for all. Good that you can use it with your mobile device. But sometimes its work slowly but it's not a big deal and doesn't make my day bad. Good solution for the company. Very easy to use. Understandable for everyone. Will organize your working day and make it more smoothly. I like it and I hope you will like it too. The great solution which helps us to improve our working deals. Very simple at making a task or just find a right document which you need urgently. We like it. It is a simple platform, easy to use, its interface is clean and does its own, program reminders and alerts for tasks, organize your calendar to your preference daily, weekly or monthly, the synchronization of the information is very good. It has helped to organize the work in a way that we have achieved to be much more productive, the time in television is very precise and we have been able to fulfill our projects on time, to program movies for the different channels of television and that everything has left on time in the foreseen dates. "Powerful but Microsoft Compatibility Needs Work"
Any.do reminds me of tasks, allows me to separate business from personal tasks, and has an intuitive app and the best multi-calendar I've seen to date. My Exchange calendars do not stay synced with any.do. It's my biggest complaint. I'd also like if the reminders for tasks could interface with smart watches. I use an office 365 mail, exchange mail, google mail all with tasks and calendars. Any.do allows me to bring all three in, color assign their elements, categorize, create advanced repeating tasks and keeps me alerted. It is the best task/calendar tool out there. When we add a task to be reminded to call someone, any.do immediately adds a 'call' icon next to the task. When you tap on the call button, it suggests contacts that match the name of the person mentioned in the task. This is a very simple feature. But when I am reminded of this task, all I need to do is tap the task and initiate my call instead of searching for the contact and then calling him. A simple step towards an amazing user experience. There is nothing that I don't like in any.do. There are many pain areas in the stock reminder apps within our phones. Any.do has done their research well in bridging the gap/pain areas that these apps have. The app knows what you want and it delivers. The new integration of the phone calendar with Any.do has pushed the app further to the top. I'm a person who has my day organized in my calendar. My day starts with checking my calendar for the meetings I've scheduled for the day. Having the calendar integrated to any.do helps me to check my tasks for the day and check my meetings within a single app. "Wonderful application to manage your time"
"Organize efficiently and improve your day to day"
You can organize your personal and professional tasks in an interface quite simple and easy to use but with the functions required to make the management and administration productive, without many complications list your tasks, manage time at your convenience, easy to configure and customize. It will keep your calendar updated and you will be able to visualize it in any mobile device and computer since it is multiplatform. It has helped me to really make my time more productive, focused on achieving my career goals, and meeting my weekly goals, that greatly benefited my work environment. "Great for personal, but not sure about business." The interface for Any.Do is incredibly user-friendly and easy to pick up on multiple devices and platforms. Right out of the box you are off and running! One thing I really enjoyed was the mobile side of things. It is immediately obvious that the developers anticipated users utilizing moible as a primary mode of access. It doesn't necessarily replace anything that I have access to already. I was hoping that it would be a new tool that would knock my socks off. Rather, it's a neat platform that one could use as a matter of preference. Essentially I use it as a secondary tool to other paid options at my disposal. However, I do know several volunteers that utilize this as a primary option and it fits their needs. Your interface is great but it needs more features to gain serious consideration for business users in the areas of project management. I immediately recognized that Any.do has more features that benefit my personal life, as opposed to my business life. I use Asana heavily at work and it meets my needs much better than this tool. While it's a good platform with some useful free features, I think they have a long way to go to make headway in the business world. My wife is a teacher and she uses any.do to organize her social committee projects, which is an excellent example of what it's best suited for. "A different kind of todo app"
Anydo is a minimalist and beautiful todo app. It makes projects organization and tasks planning easy, natural and comfortable on both web and mobile. Anydo is somewhat difficult to get into. Unlike most todo apps which favor simple list, anydo is more of a combination between a usual todo app and project management app. If you're looking for an effective todo app, anydo might surprise you. It's very different from most similar apps, so this might be the app just for you. We organize team collaboration mostly via anydo. It's very effective - we always know what to do next and who's doing what. Lo que más me gusta de la app es que a pesar de la cantidad de tareas que esta puede hacer se maneja de una forma sencilla, volviendose imprescindible para la organización del tiempo en el día a día, ademas cuenta con calendarios y recordatorios grupales que facilitan mucho la interacción entre amigos o compañeros de trabajo. Como contra Any.do no te permite manejar el orden de las subtareas, eso hace que se vuelva más complicado el planeamiento de tareas más complejas, aparte otro punto es la continua aparición de publicidad para comprar premium, cada vez que abras la app espera un anuncio acerca de la adquisición de premium. Ayuda mucho en la organización, gracias a que se pueden establecer recordatorios grupales, se puede mantener un contacto rápido para terminar las tareas pendientes. "Great for tasks that can be grouped into buckets"
I like the fact that in order to make a to-do, you have to make a bucket for the task items to be listed under. When you start the app, you are asked to make a bucket. After drilling into the buckets, you can add subtasks, and in a true GTD fashion, the subcategories are "Today" "Tomorrow" "Someday" "Upcoming". This is good if you are managing multiple simultaneous projects that you need to review the action items everyday. This layout makes it very intuitive and easy to track each project independently of each other. I dislike that there is no reminder functions so you can track tasks that need follow-ups. There are also a lack of integration with calender/other software. While you can collaborate with other people, the interface to coordinate things to do is clunky, and most options require the premium version - not very good if you are budget constrained in your department. The interface can be clunky to see tasks depdencies among projects, but if your project requires discrete tasks, then Anydo is an easy way to track different project that are discrete from each other. It allows me to make a bucket for each project and tackle it independently and invite co-workers to see what needs to be done on certain projects. It allows collabborators to comment, attatch files, and see an overview of the project without many emails status updates. "Simplest and the best at the same time!" I love the simplicity of this app. It has everything that is really needed for a to-do list app. I love the design and ease of use. One of the most important features for me is a morning planning feature that helps me to prioritize and organize tasks for today. Synchronization is not working the best it could. Sometimes I've got tasks on my phone that I already finished on my desktop. I would recommend this app to everyone who struggles with daily tasks and is looking for something simple yet very effective. It helps me to organize my work and prioritize my daily tasks. With Any.Do my day is simply much more efficient. Quizas la unica pega que podria poner a esta herraienta fue que al tiempo algunas veces se me ha desincronizado (dos veces como mucho),. Ahora ya no porque no es la que utilizamos pero en su momento para las agendas era super util en la empresa. Any.do is easy and intuitive to use, visually pleasant, and versatile. I have tried many different "productivity" themed apps before, but Any,do is the only one I have felt inclined to use consistently. My best experiences with it have been with Android. I hate constant little red notification bubbles... and this program involves a lot of those. I don't enjoy this app as much on IOS as I do on Android, but I genuinely think that has more to fo with IOS than it does this app. Write down every little thing you need to do! Make sure you actually cross things off. Hold your accountable and do not trust this app to get your life together... it helps, but only if you use it correctly. I am much more inclined to actually complete menial tasks if my phone/tablet bothers me until I can cross it off. I find myself making more lists, which-- even though I generally trust my memory-- is much more reliable than my brain. Having lists readily available to me, easy to see, and in nice, charming colors helps me tackle tasks instead of just panicking and ignoring them. "Simple, sencillo, por ahora, ¡el mejor!" La simplicidad y facilidad de uso, la posibilidad de tener centralizados algunos eventos (más allá de tareas, por ej: llamadas pendientes por hacer) las alertas y su diseño limpio también destaca. Te permite organizar mejor tu día a día a nivel laboral e incluso a nivel personal, es intreresante ver el cambio en tus formas una vez empiezas a usar Any.do. Le falta algo de integración en movilidad (dispositivos móviles) con calendarios y tareas a la vez. Quizás también se queda algo corto para usuarios muy avanzados pero es importante tomar en cuenta que es un organizador de tareas y no una herramienta para gestionar proyectos. Sin duda organizar mis tareas, priorizar y tener un soporte aumenta mi productividad y mejora mi nivel de organización al organizar y priorizar mis distinas tareas en el áreas en el que me desempeño. Compartir tareas con parte del equipo de trabajo hace elevar la productividad en el proyecto. "The to-do list everyone needs"
*I use the free version of this tool to keep myself organized. I recommend this tool to everyone who needs something more than scribbled on sticky notes (virtual or physical). The interface is beautiful and simple and allows you to satisfyingly cross out the items on your list, and then delete them forever. So, yes, I do write down things I already did, just to see the little line go through it. You're able to drag and drop your tasks from columns labeled today, tomorrow, upcoming, and someday. You can also use multiple lists, like work, personal, etc. There's not much to dislike, especially since I'm using the free version and am pretty satisfied. The one tiny thing that annoys me is that I have to create the item, then go back into it to add any sub-tasks or notes. Just one little extra step, but it's by no means a deal-breaker. It's so easy to implement into your current organization strategy. It just makes more sense to use this than having a million sticky notes plastered to your desktop. I wanted to stay organized with the tasks thrown my way. Jotting them down on a sticky note is nearly impossible to keep track of, so I needed a better solution. I have Any.do up every single day to see what I have on my agenda. I've been able to stay more organized and get tasks done I would have definitely otherwise forgotten. I like that it has the largest community of contributors on the internet. every problem i face should have a solution on the internet. every feature i need have a plugin that provide it. I would like it to have native SEO support in the basic version. Although there are Great plugins that provide this functionality. Use WordPress.org, it is the perfect tool for website managing. with the aid of the proper themes and plugins, it can create and handle any website from simple blogs to high security bank websites. I am able to design and manage professional websites with out the need of knowledge. "Really helpful for planning of your day"
The best thing I liked is how easy it is to add tasks. Even by pulling down the drop down menu there is a shortcut to add tasks. The only thing I dislike about anydo is that sometimes it reminds me of tasks randomly through notifications. I can plan my day very well with anydo and finish tasks more productively. "Versatile and Efficient Task-list organiser"
I find the user-friendliness and multi functionality of Any.Do to to be one of it's greatest features. I use Any.do on my mobile phone frequently; nearly everyday I note down work, and personal items I need to do; the whole grouping of items makes it much easier to categorize tasks. It synchronizes with my desktop, which makes the entire process much simpler. Overall I find the ease of creating tasks, along with the Android widget on my phone home-screen, and the ability to set recurring tasks, much quicker than Google Calendar, to be a broad and versatile task-list creator, brilliant for many different roles. The desktop version sometimes fails to work properly on Chrome, making it difficult to use correctly; and there's a few features that occasionally do no work as I expect, but that's a rare problem. 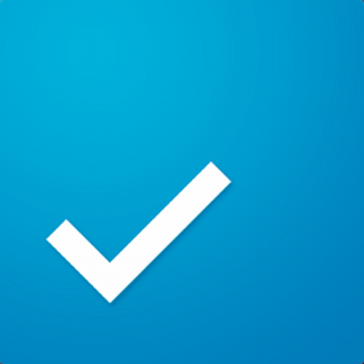 Any.do is a brilliant task-list organiser. Whether using it to plan your project goals; to keep track of all the tasks you've got to do for the day; or even if you're sharing a shopping list with your partner. Any.do makes it really simple to keep track of everything going on. Second, you have the ability to sort your tasks into a list; organised by time, or priority. Third, you can create multiple lists; you can share your lists with other users, creating teams and groups; all sharing the same tasks, which can be crossed off. The depth of customization for tasks is brilliant, and a task can be created in as little as 5 seconds. If using the Android app, you can use the home screen widget to smooth this process even further. Trying to keep track of all the work that needs doing tends to be very difficult for me. I work at a web development firm, and do part-time volunteering at a radio station. When I have the opportunity, I also take on freelance work. Trying to keep up with all my plans would often leave me forgetting tasks all together. So I went looking for something to handle to-do lists, to keep track of all the things I needed to do. Any.do has solved the issue of me forgetting to plan my tasks; and to organize priorities. I've found it so much easier to take on new work, and to make sure I have everything done when needed. I also found it much more effective than other to-do list apps on the Google Play Store for Android. "Useful App that works flawlessly with Google Calendar and Android Phones"
Easy to keep track of your To Do list, and integrates with Google Calendar and Android phones. A good way to stop forgetting tasks that is not overly involved and complicated. Misses a few bells and whistles which would have been useful. Does not allow you to delete a Task until you mark it as completed. A simple way to keep track of tasks and todos, integrating between your smart phone and the web interface. Getting things done on a daily basis. I love the separate grocery list, with add suggestions. You can easily manage tasks across projects and lifestyles. The notifications are reliable and the overall look is lseek and organized and nice to look at. Not yet google assistant compatible. I think this is in the works however so I am looking forward to its implementation. "Any.do is What I Use"
I like the ability to easily set a task for a particular day like let's say Wednesday. If I do not complete that task on Wednesday then it automatically rolls over to the following day. * We monitor all Any.do reviews to prevent fraudulent reviews and keep review quality high. We do not post reviews by company employees or direct competitors. Validated reviews require the user to submit a screenshot of the product containing their user ID, in order to verify a user is an actual user of the product. Hi there! Are you looking to implement a solution like Any.do?